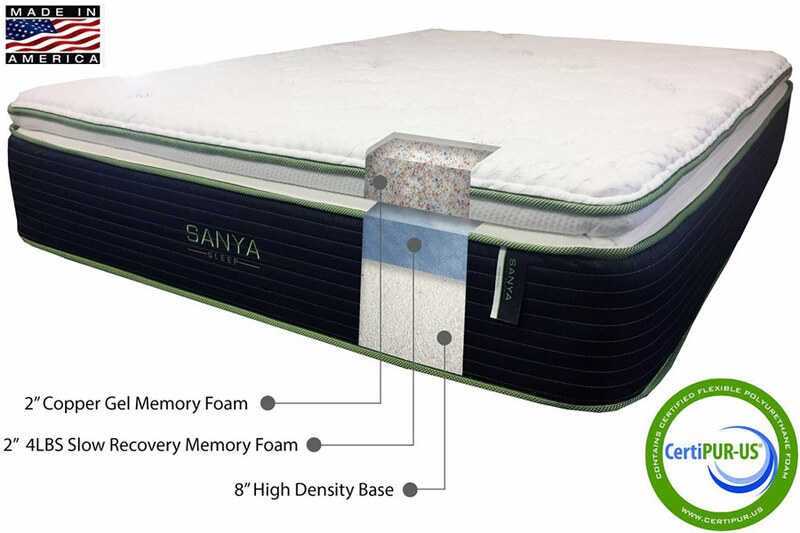 Luxurious and plush, Sanya Sleep's Selena Mattress is upscale quality at its finest. Selena boasts an 8" high density base layer to remove the wiggles and jiggles of standard innerspring mattresses, but it's the top two layers that make Selena special! 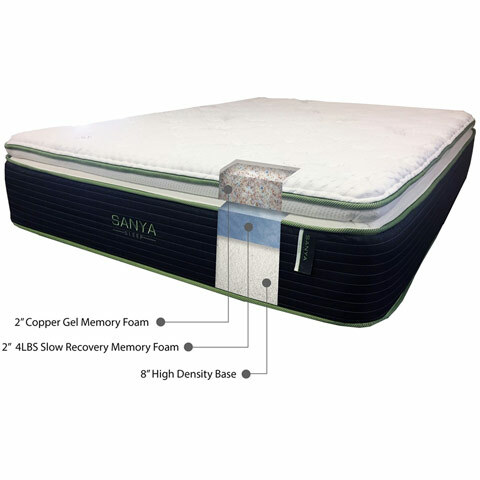 On top, Selena features a 2" layer of copper-infused Gel memory foam designed specifically to transfer body heat down and away from you as you sleep. Another 2" of 4 pound density slow recovery memory foam beneath results in a plush 4" of comfort specially designed for comfort! High-end quality, made in the USA, Selena is the perfect solution for a good night's rest!